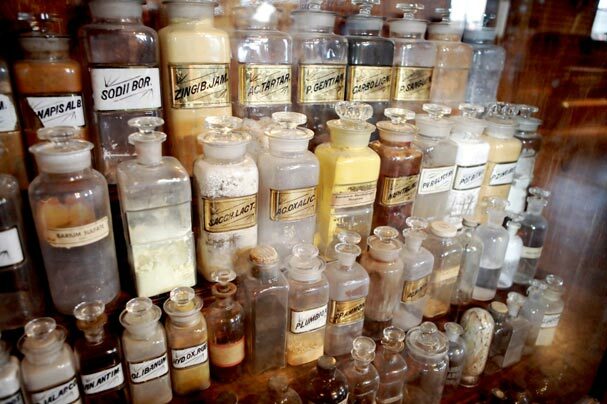 Apothecary Pharmacy specializes in customized prescription compounding. Call our wellness department and speak with our pharmacist, homeopath, nutritionist, or herbalist. "Pineapple has the recommended daily value of Vitamin C, which helps fight cell damage to improve heart health and reduce joint pain." "Making an impact on this community is our commitment. https://www.yelp.com/biz/apothecary-pharmacy-los-angeles"
"Different bodies need different things, and we make sure you get exactly what you need." "Tip: drinking a glass of water 30 minutes before a meal is helpful for digestion." "Did you know? 20% of your water intake comes from your food. As the weather warms up, choose hydrating foods like fruits and vegetables!" Pleasant small pharmacy, where you can receive personalized attention from the proprietors and staff. Small US Post Office satellite. Drop off mail with more security than a stand-alone drop box. Pricey but good knowledgeable service. They have hard to find supplements. Yes, I'd like to receive news from Apothecary Pharmacy. Sign up for the Apothecary Pharmacy Newsletter!